The American Eagle is one of the most famous and a beautiful Khukuri which derives its name from the American Bald Eagle, the National animal of America. 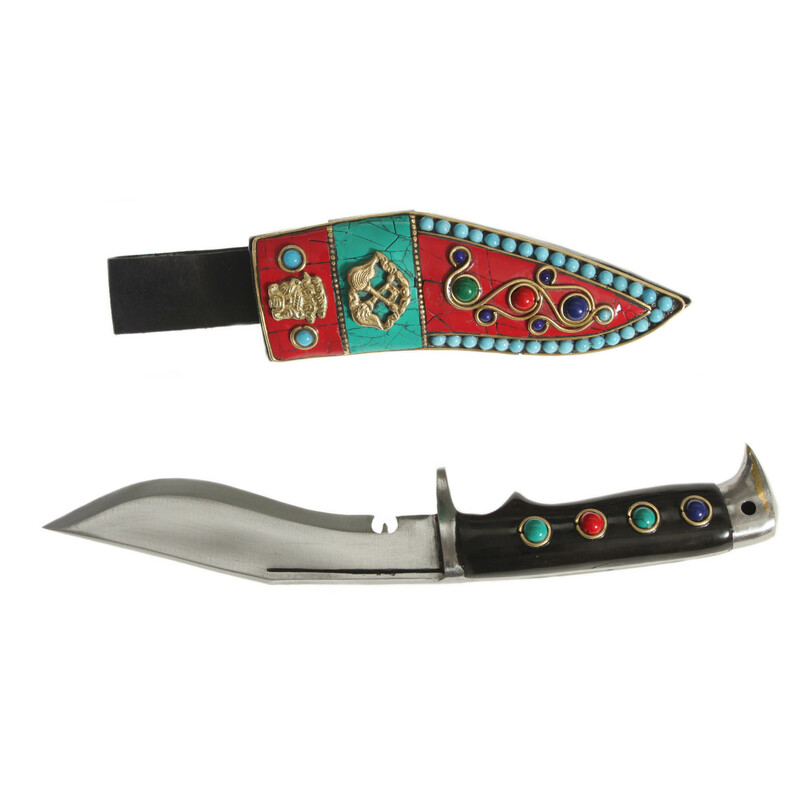 It is a top selling Khukuri amongst the Americans. This is a 5 inch American Eagle khukuri. The blade is made up of high carbon spring steel which is ideal for edge retention and ease of sharpening. This khukuri is handmade and extremely beautiful Khukuri made in the Eastern region of Nepal. 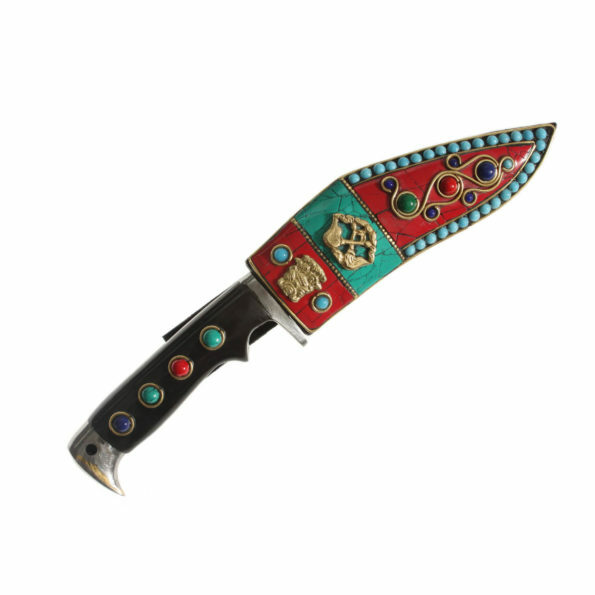 The handle is made up of buffalo horn, which is glued together into the tang by Laha. It’s a full tang Khukuri. 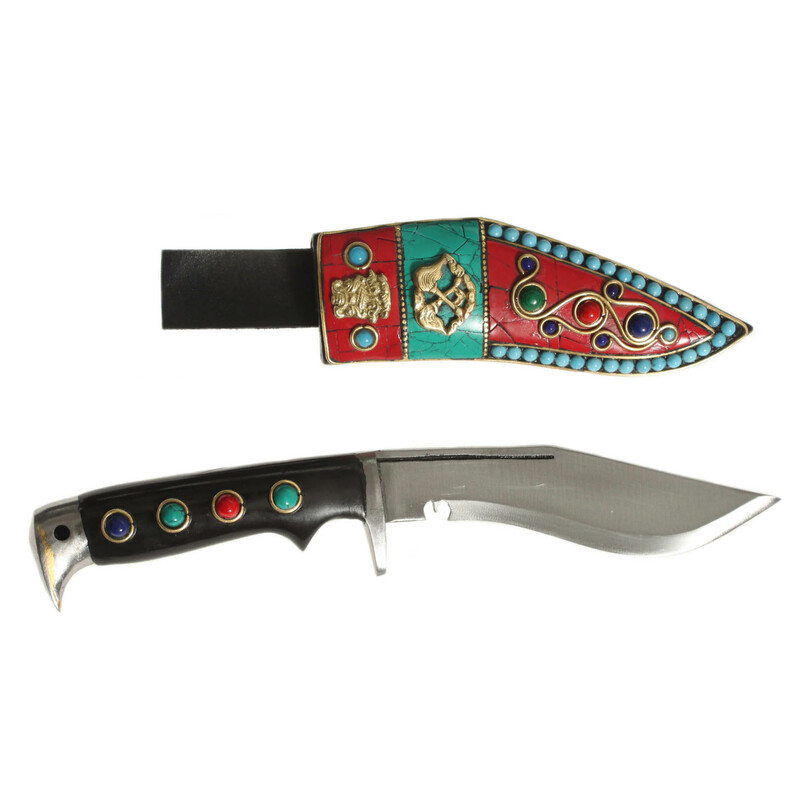 The base of the Khukuri is in the shape of the Eagle, hence it gets its name, the American eagle. 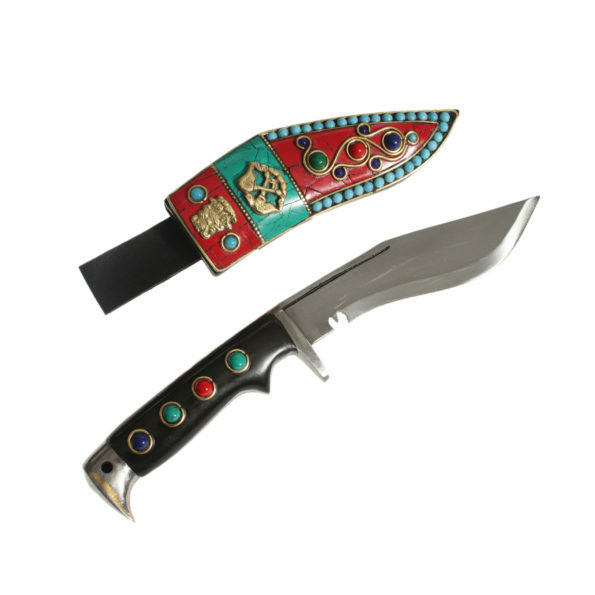 The Khukuri comes with a Scabbard made up of buffalo leather which is fused with pinewood. Handle Size: 4 Inch and Fixed blade handle.